The jet engine changed the way we travel. It made transatlantic flights possible, it made international transport practical, and it made modern tourism what it is today. 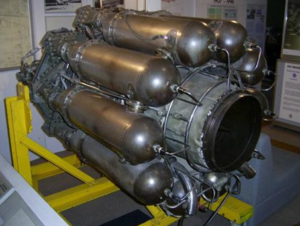 The man we have to thank for the existence of the modern jet engine is Frank Whittle, an Englishman from Coventry who, born in 1907, overcame social class, illness and financial difficulty to innovate a modern way of powering aircraft that changed civil and military aviation forever. An engineering and mathematical genius, Whittle joined the Royal Air Force in 1923 at the third time of asking after forcing himself through extreme physical training to make the grade and falsifying his ID to get in. He joined as an apprentice but, due to his extraordinary talent, he was recommended for officer training at RAF College Cranwell, joining the ranks of public-school educated students who reputedly looked down upon Whittle. As his thesis, the keen modeller selected a topic that – while certainly considered nothing new in a theoretical sense – had long been considered a practical non-starter: the motorjet. He proposed that as altitudes increased and air pressures dropped, such a system would become more viable and hence offer practical applications in long-distance travel. Ostensibly based on the concept of an afterburner linked to a propeller engine, the success of his thesis and his continued interest on the subject led him, by 1928 to conceive of an arrangement whereby a turbine could be used to extract power from the exhaust and drive a compressor akin to that found in a supercharger, hence the foundation of modern jet engines was laid. What followed was over a decade of development work, battles for investment and attempts to convert others to believe that his propulsion design was viable all the while battling ill health. From being forced to let his patent lapse for lack of being able to afford the £5 renewal fee to finding ways to work on the project in his limited spare time without military support, Whittle had the strength of his convictions to keep pushing on, taking opportunities for investment when they arose and – eventually – suffering the financial disadvantage of freely giving up his shares on the business he had created to make jet engines a reality. Through the war effort and reports that German engineers were working on their own jets, Whittle double his efforts and created numerous prototypes, enhancing the design again and again. While in the end jet planes did not feature significantly in WWII, they reached production in the late 40s as transport vehicles, by which time Rolls Royce had taken over primary production and Whittle’s company was long gone. Throughout all this – and beyond – Whittle remained a loyal member of the Air Force and put himself and his colleagues under significant pressure to meet the high standards and tight deadlines demanded by his superiors. In his life, Whittle was disciplined many times for his daredevil piloting and yet went on to suffer from extreme stress conditions and numerous breakdowns, in part no doubt brought on by the stresses of maintaining an engineering business and feeling the weight of the Allied war effort resting on his shoulders as German engineers worked to perfect their own jet-powered aircraft. Despite all this he soldiered through, relying on his drive and his talent to eventually be knighted and reach a rank of Air Commodore in the Royal Air Force before moving to the USA, eventually passing away at the age of 89 in Columbia, Maryland. At Hobbs Valve we admire Whittle’s grit and his determination every bit as much as his engineering talent and gift for innovation in the face of cynicism and establishment rejection. He’s one of the people that made the present era what it is, and for that we salute him.